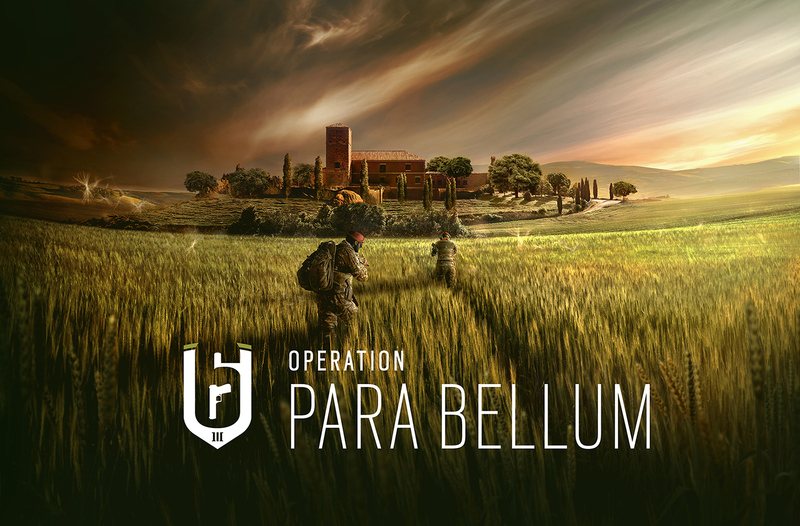 Next on the docket for Rainbow Six Siege is Operation Para Bellum, the Year Three Season Two content update that will bring a pair of defense-oriented Operators, another gadget, buffs for Echo and Clubhouse, a Pick & Ban system, and a new map that Ubisoft is calling its "most competitive" so far. "On the gameplay front, expect a series of enhancements," said the team. "We are adjusting how dropshotting is handled and implementing a new counter defuser animation." As for Pick & Ban, the system "provides an extra layer of strategy between teams, as each side tries to counter their opponents' picks during the banning phase." To shake things up a bit more, each team is allowed a final, secret-to-them Operator swap as their sixth pick. You can play dirty. Ubisoft plans to hold its full reveal for Para Bellum during the Pro League Finals on May 19 - 20.